I recently expressed concern over the apparent leadership from the AANA on the issue of media transparency and rebates. This is an issue that we have seen develop in the past four plus years and which we have recommended possible solutions to our clients and the industry during that time. But with the latest rebuff from the AANA I posed that the inaction could be due to a possible conflict of interest in their financial membership, which includes agencies and advertisers. Instead of a discussion on the topic there was a rebuttal and then silence. But while it is convenient to believe that the interests of the advertiser and their agencies are aligned, the recent K2 Report into Media Transparency and Rebates, commissioned by the Association of National Advertisers (ANA) has raised questions over whether this is still the situation. 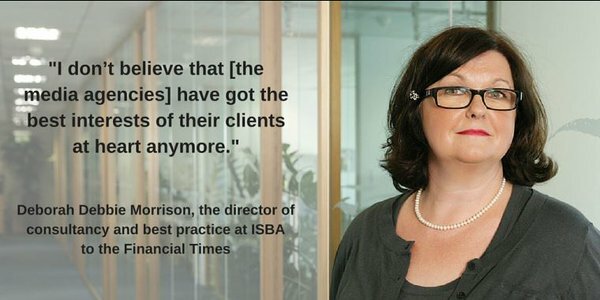 Debbie Morrison, the Director of Consultancy and Best Practice at the UK Association ISBA is quoted as saying “I don’t believe that (the media agencies) have got the best interests of their clients at heart anymore”. 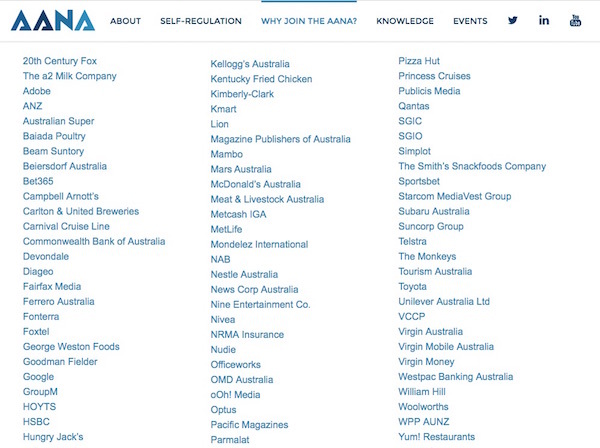 But unlike the ANA and ISBA, along with around 60 other similar advertiser associations globally who are association members of the World Federation of Advertisers, the AANA in Australia has introduced no major initiatives to address this issue and also have agencies among their financial members. Could it be that the two observations are connected? Although only six of the AANA’s members are agencies, they represent some of the major holding company media groups including both WPP (AUNZ) and their media operation GroupM, which includes the media agencies Mindshare, Maxus, Xaxis, MEC and of course MediaCom. Publicis Media and Starcom MediaVest Group, the Publicis owned media operation are also members, along with media agency OMD Australia from the Omnicom Media Group, part of Omnicom Holding Company. Plus there are the creative agencies The Monkeys and VCCP. 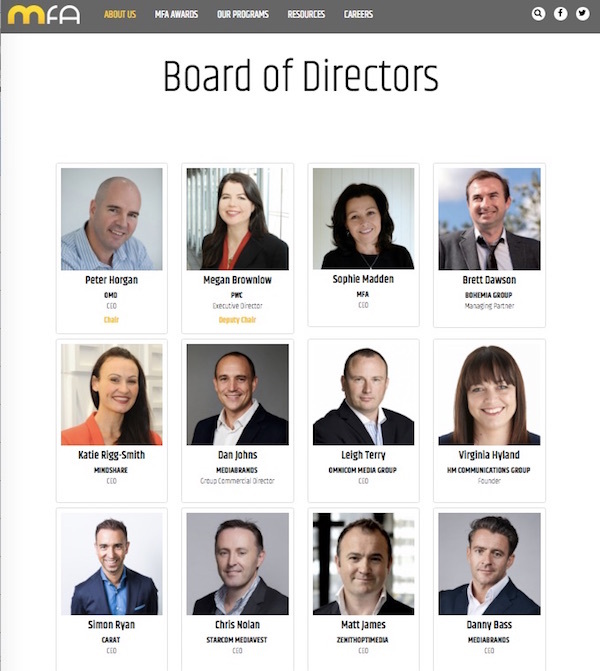 But not only are the agencies members, according to the AANA website, there is a board member from WPP (AUNZ) Mike Connaghan, who has been a long term board member previously representing STW Group. The AANA also has members who are media owners such as Nine Entertainment Company, Fairfax Media, Google, News Corp Australia, Hoyts and Pacific Magazine, which considering they are all major advertisers is right and appropriate. 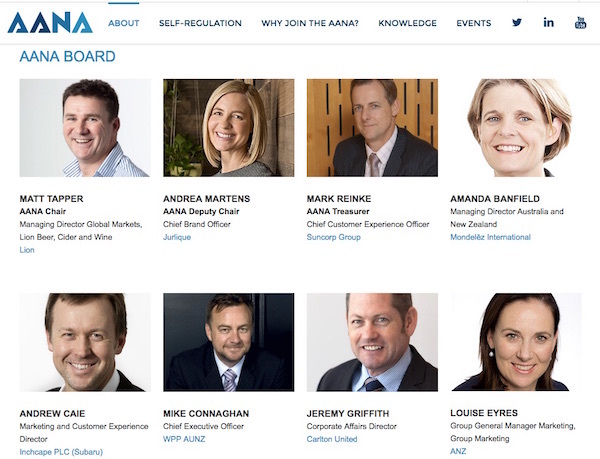 In fact the current chair of the MFA is the CEO of OMD Australia, according to the MFA website, and OMD Australia is also a member of the AANA, which leads me to wonder why? As mentioned previously, the Advertiser Associations the ANA in the USA and ISBA in the UK, have both initiated major initiatives on this topic and neither of them have agency members. In fact, of the around sixty association members of the WFA, only a handful of these have agencies as members. It makes sense that an association that represents the advertisers, would therefore have advertisers as their members. Perhaps you think it is due to the scale of the market and that the AANA needs support from as many as possible? But even in our nearest country, New Zealand, the Advertiser Association, the ANZA, does not have agency members. The agencies in New Zealand belong to their own association called the CAANZ. Of course in New Zealand, both Associations work together and co-operate on industry issues, but from their unique perspectives. Perhaps this is a lesson that the big island to their West could adopt, as they say in the land of the long white cloud. Sure, there are many advertising and marketing organisations in Australian that have both marketers and agency people as members such as ADMA and the Australian Marketing Institute. 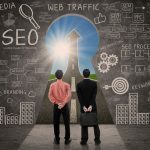 But the memberships of these are both individual and corporate as they are primarily focused on providing professional development and networking, both important functions for the industry at a time of such massive change. It is important that we have organisations focused on building the capabilities and recognition of marketing as not just a discipline, but potentially a recognised profession. Apart from the fact that the equivalents in markets like the United Kingdom and the USA have been proactive in this matter, you would assume that as the only association in this country representing advertisers then there would be a responsibility to act. But perhaps the first issue is that they are not truly representative of the advertisers in Australia. The membership of the AANA, at just over sixty if you remove agencies and media owners, is not really representative of all the advertisers across what is reported as a $16 billion per year industry. The membership is also significantly underrepresented in some key advertiser categories such as retailers, financial services and travel and transport, who are all significant advertiser categories. The AANA is also poorly representative of the smaller advertisers, because while they have some of the largest spenders on advertising media (The $20 mil+ spenders), they are again poorly patronised in the much larger number of smaller advertisers ($1 mil – $10 mil spenders) of which there is a much larger tail. This poor representation also impacts on their ability to enforce the advertising standards guidelines they are self-appointed to form and manage. As was recently admitted by the Advertising Standards Board (ASB), organisations who are not members are not bound to follow the rulings of the Board. This skewed representation to the larger advertisers could be impacting their lack of response on media as many of these larger companies have the means and resources to address the issues of media transparency, many of them have media specialists and specialised procurement and legal teams who can address these issues on a global basis. So perhaps by representing the interests of their members and not the wider advertiser industry they are overlooking the needs or requirements of the hundreds of smaller, but collectively significant advertisers, who do not have access to these resources? If so, it perpetuates a culture and practice that will continue to exclude the many smaller advertisers from joining as they see no value in the membership. If the AANA is unable to enter into a reasonable discussion on the potential conflicts of interest on this matter, how do they deal with other conflicts of interest that may arise across all aspects of their responsibility, including the industry self-regulation? It is a question I think we should all consider for the health and transparency of what is a multi-billion dollar industry. This post was published on AdNews on August 16, 2016 alongside this interview with the AANA CEO and Chair who were interviewed in response to this article.